Another rainy day and more on the way! I couldn't find the name of this dried plant. Anyone have a guess? Don't know either but I love the composition & depth of field! Neat shot. 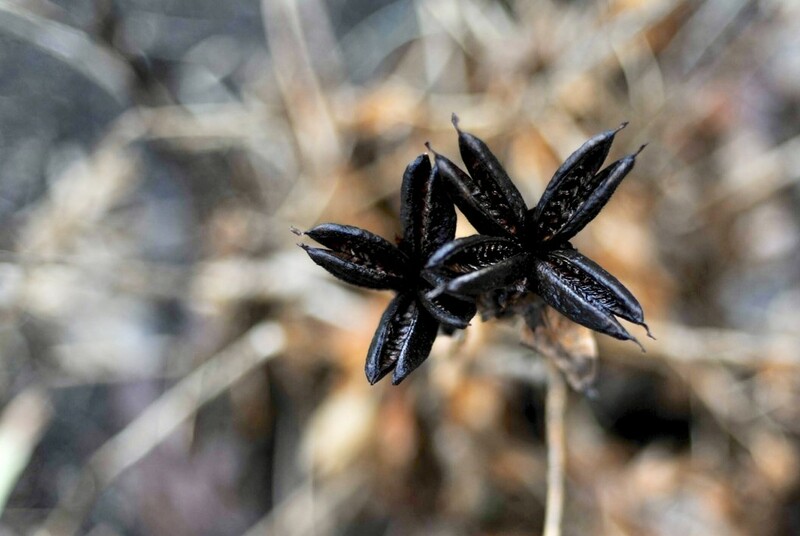 Some sort of seed Pod?, Wonderful shot Lois. It looks a bit like aniseed. Great focus, detail and dof. Wow awesome focus, sorry can't tell you what it is!